For over 20 years, State Environmental Services has and continues to provide prompt, courteous and professional service to homeowners. In addition to providing a full range of maintenance services, SES field service technicians are thoroughly trained to diagnose specific problems with your septic system and recommend cost effective solutions. SES technicians empty your septic tank, check for missing, broken or damaged baffles, and perform a visual inspection of your field each time to diagnose possible septic troubles before they get serious. 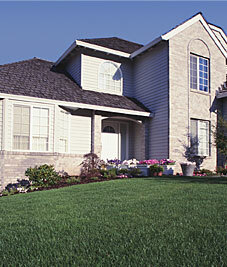 SES is fully qualified to perform in-depth septic inspections for real estate transfers. A trained inspector will locate and inspect the treatment tank and distribution box, perform a controlled hydraulic load test of tank and drainage area, identify sewage breakout, lush vegetation and odors, and provide a written four page system analysis. SES can provide products and treatment services needed to help maintain the beneficial bacteria and enzymes required for your septic system to operate successfully. You can find additional information by calling SES at 609.298.8838. Our support staff will be happy to help.